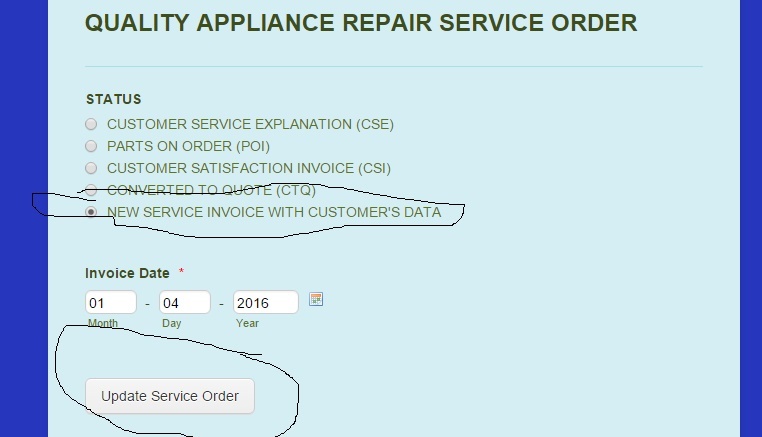 I am developing a form that is being used simultaneously as a customer self booking form and a service order for services rendered with the help of url parameters on embed to hidden fields. Recently I found that I could use the thankyou page url redirect with the conditional logic of a radio button and a well put together set of url parameters to basically let the customer's data from one form populate another new version of the form. It's a really great trick no matter how many times I see it done. 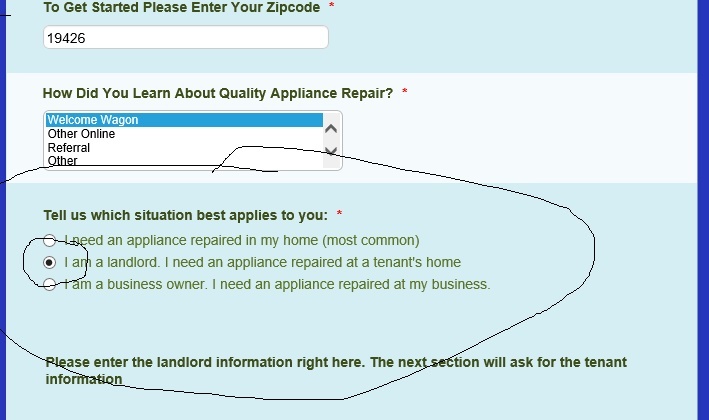 Basically, when a particular radio button at the beginning of the form is set to landlord, the second option for that button and the submit button is pressed with the radio button set to trigger a new form pre-filled it doesn't load. I get the email but the new version of the form doesn't load. it works fine if the first radio button pictured in the first image is set to the first or third setting just not the landlord one. Here is the actual form. I am sorry I am a bit confuse by the actual issue.. so I will ask for clarity. 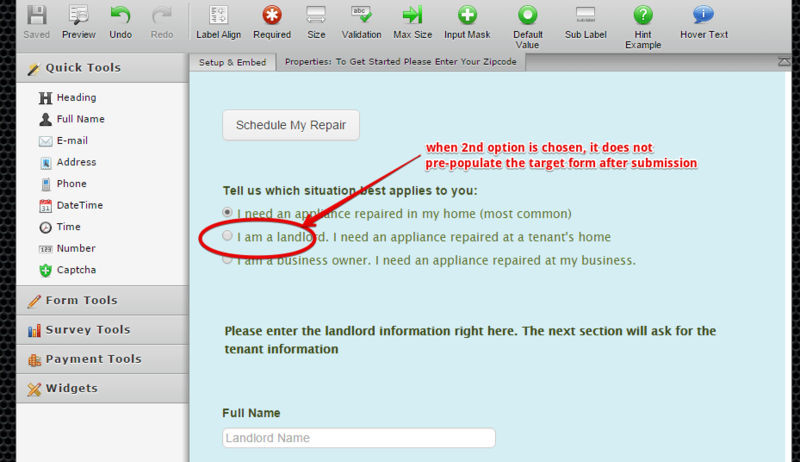 From what I got so far, you are saying that the target form that will be pre-populated is not being populated properly when "I am Landlord..." option was the chosen answer to the question "Tell us which situation best applies to you..."
I am having difficulty testing the form https://form.jotform.com/60017271603949 since there were different combination of condition rules before I get to see the correct Thank You URL. Can you help us testing also. You can provide a numbered steps on what to do, and will will immitate it to produce the problem.